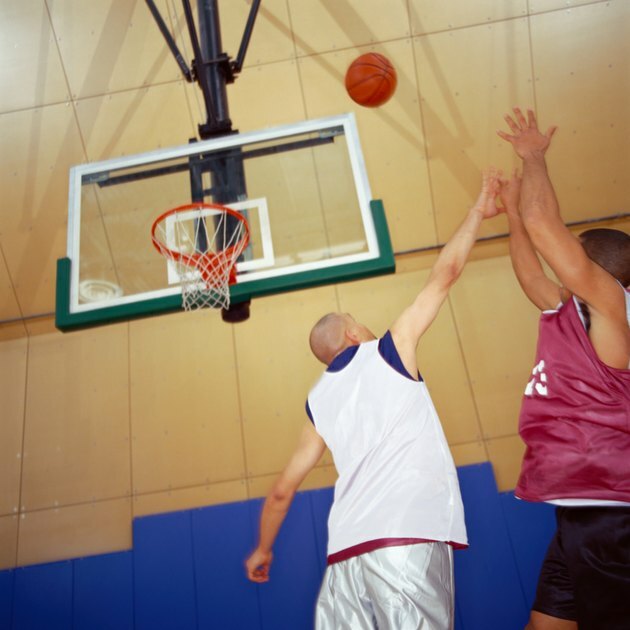 Many people think of basketball as a noncontact sport. However, anyone who has ever fought for a rebound under the backboard knows that is not the case. When it comes to player safety, there are several precautions that players and teams must take to ensure the health of the individuals participating in the game. No player may swing his elbows in an attempt to secure the basketball, particularly when the player has gathered a rebound. In addition to committing a personal foul if a player makes contact with an opponent as a result of an elbow, a flagrant foul can be called if the referee believes the elbow was swung recklessly or with the intent to injure. A player can be thrown out of the game or suspended depending on the force and severity of the blow. Players who are up in the air and in a vulnerable position while shooting or rebounding are not in a position to defend themselves. Players who hit or foul defenseless players can be ejected from the game. This does not include a play where there is significant physical contact in which the defensive player is trying to stop the shot. If the referee rules the defensive player was trying to hurt or injure and not trying to defend, the player will be ejected from the game. No players are allowed to wear neck jewelry, wrist jewelry or earrings while playing basketball. This is done to protect the players and keep them from getting injured while playing. Players who attempt to come into the game while wearing jewelry will be prevented by the referee until the jewelry is removed. Players' actions aren't the only safety factor concerning basketball. The location must also be safe -- the court should be kept dry and devoid of obstacles around its perimeter, as players' momentum can occasionally carry them off the court. The basketball facility should also have an available first-aid kit, and at least one coach or parent volunteer should be versed in basic first aid. The backboards should be structurally sound and able to withstand pressure from the ball and even occasionally dunks. What Kinds of Tackles Are Illegal in Football?